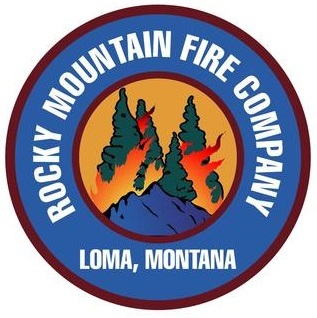 Rocky Mountain Fire Company has been operating as a Private Wildland Fire Contractor within the Northern Rockies since 1998. RMFC is experienced with all types of wildland engines and fire crews. Our employees have engaged wildfires in all eleven western states. RMFC is dedicated to firefighter safety first; Based upon best training, professional performance standards, and breadth of experience. * We treat each other and those we work with dignity and respect. * We do not tolerate drugs, alcohol abuse, or harassment in any form. We test for drugs and perform background checks. * We provide training opportunities to strengthen personnel performance, leadership, and management skills. * We promote employees from within our company when ever possible to fill our leadership and management positions. We depend upon our employees to assure we meet our contractual requirements. This requires RMFC to assure full company support for our employees. We accomplish this responsibility by providing the best training and development opportunities, equal opportunities for work assignment and well maintained equipment. Most important: RMFC strives to provide solid support for our employees and their families while they engaging fire assignments on our behalf.